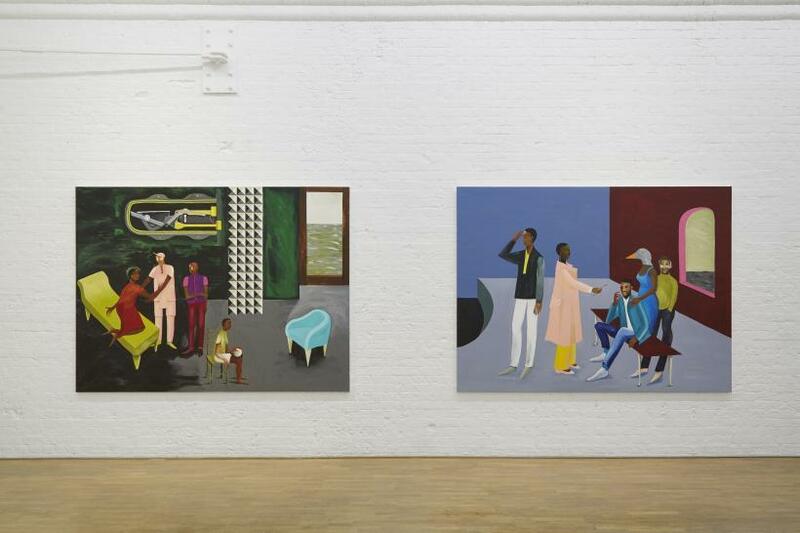 Lubaina Himid’s work has been prolific this year. 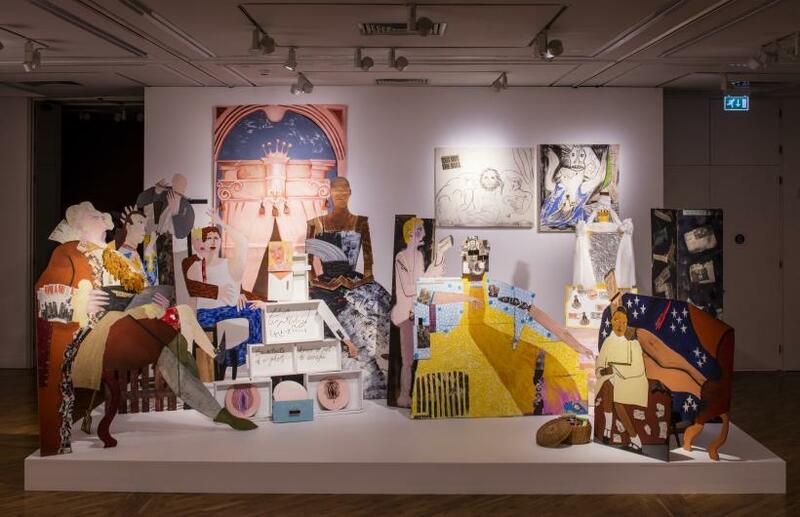 With simultaneous solo exhibitions at Spike Island and Modern Art Oxford, a major presentation at Nottingham Contemporary as well as solo shows at Firstsite and the Walker Art Gallery, not to mention her nomination for the Turner Prize 2017, the artist’s characterful cut out figures, wry text and intensive patterning have been gaining long overdue public prominence. 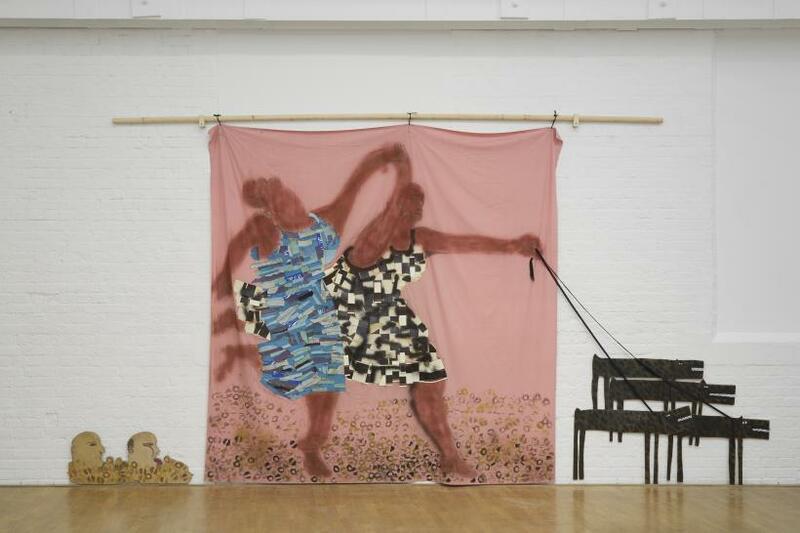 Combining delectable aesthetics with political verve, her work is exuberant, provocative and in short, stunning. 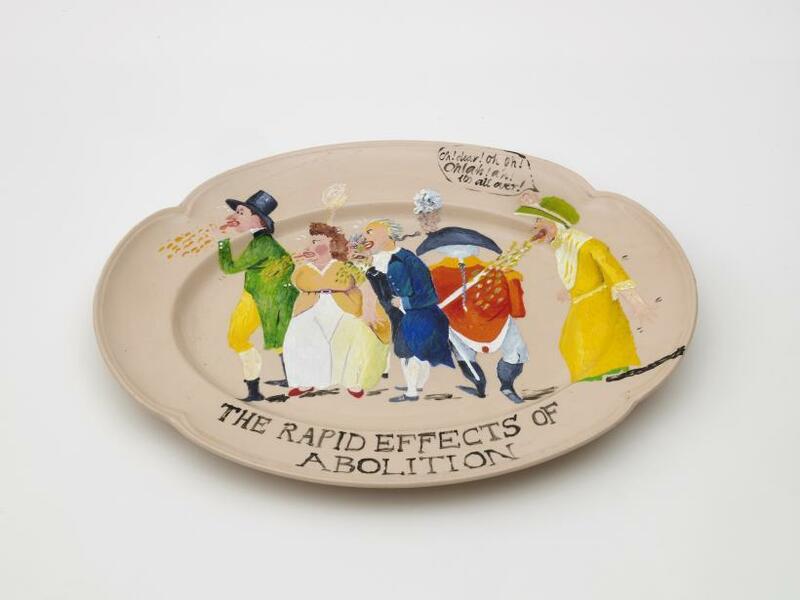 Himid’s bold palette and dramatic forms tackle sticky themes; ‘Swallow hard: the Lancaster Dinner Service’ (2007) considers the role of slavery, her mise en scène ‘A Fashionable Marriage’ (1986) appropriates colonial excess from Hogarth while ‘Negative Positive’s (2007-ongoing) analyses contemporary racial representation. 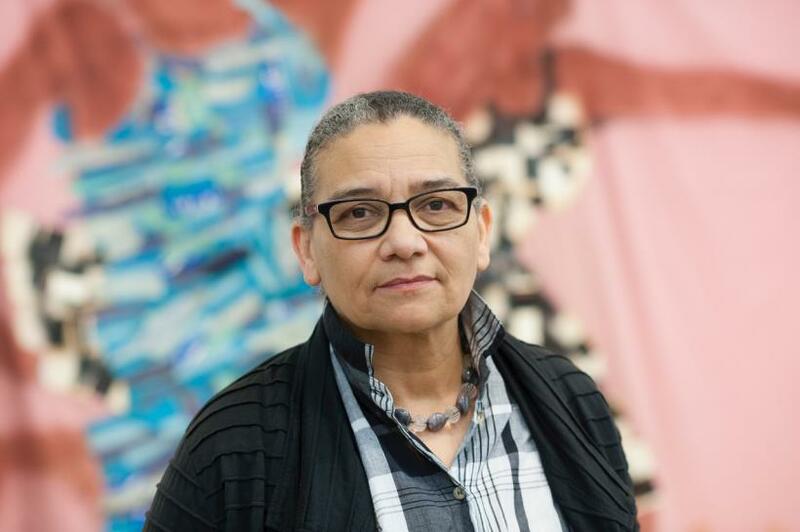 Ahead of the Turner Prize winner announcement tonight, which she is odds on to win, Cleo Roberts, art historian and research associate at Wolfson College, University of Cambridge, interviewed her to find out more about her practice, research process and the intricacies of her visual language. CR: You were a part of the Black Arts Movement. 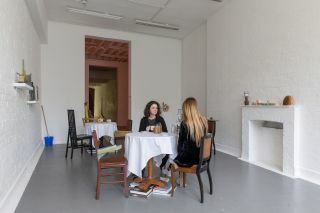 Given your recent show at Firstsite, and thinking in particular of the Guardian archive project, does this conversation and the aims of the group remain relevant? LH: The clue is in the question really, I was a small part of the movement in the 1980s to try to make the black cultural contribution in Britain more visible, but not part of any group which could or would want to dictate when and what to make, or indeed when something was no longer relevant. All the women I worked and still work with; Ingrid Pollard, Sonia Boyce, Claudette Johnson, Maud Sulter, developed whatever ideas we are passionate about. Like any artist, I will do whatever I want until it doesn’t work for me. The history of the trade in enslaved Africans is still a hidden history, there are still more black people in prison than should be there and you will still find more black people in poverty than there should be in Britain. CR: How has your teaching and Professorship at the University of Lancashire impacted your practice? LH: My practice has always developed alongside my teaching. Students teach me things I didn’t even know I didn’t know – every day brings some interesting revelation. They have given me energy and some really good times over the years. I live and paint in the same city as the university so never wasted a moment commuting, it’s always been a seamless transition from one kind of work to the other. Being a Professor at UCLan has meant that my responsibilities doubled to include leading the research team but even that, looking back, had its moments of astonishing insights and hilarity. CR: How does working with historical topics and archives help you articulate your views? LH: It’s not so much a case of archives etc. helping me articulate my views but much more that making the art gives me the only way I know how to work with historical material, to wrest it from those who would keep it secret and reveal its complexities in a hopefully intelligent way to as many people as possible. CR: Is looking back provocative? LH: Not as provocative as looking forward which is the only other sensible thing to do. To dare to guess how things could be, to actually believe you can make things happen and change for the better – that’s provocative. CR: ‘Negative Positives: The Guardian Archive’ (2007-2016) in one way scrutinises the relationship between text/language and image. How do you see the relationship between these modes of representation? LH: ‘Negative Positives’ scrutinises the relationship between the people who build a newspaper anew every day and the people who read the newspaper looking for information, guidance and entertainment. The newspaper has many virtues but the people who construct the object every day are consistently slack about the way this is done. It’s not a series about text and image. CR: Following on from this, how do you see the use of spoken language in ‘Naming the Money’ (2004)? LH: The spoken language in ‘Naming the Money’ simply repeats the text written on the back of each of the 100 cut-outs. There is a sense in which to hear me telling the stories of people helps to bring those people to life again but initially I devised the soundtrack to bring audiences, who don’t like to read, into the room to invite them to exchange information about their own life stories. CR: Is the flatness of your work, particularly your use of thin cut-outs, important? LH: Is flatness important? Probably not?? CR: Pattern for you is a language. Do you see it as being somewhat neutral or just as loaded as spoken language? LH: No language is neutral. Pattern is a visual language open to thousands of interpretations and exposing hundreds of histories. It helps to express wealth, status, tradition, experimentation, geographical positioning, even gender expectation. It’s loaded with different methods of interpretation and much can be lost and gained in translation. CR: ‘Cotton.Com’ (2002) reacts to the historic male gaze. Do you still feel the strength of this gaze? LH: The brass plaque in the ‘Cotton.Com’ text gives agency to the black woman. She notices how he looks at her and understands completely why he does so then dismisses him. The male gaze is only as strong as the reaction, negative or positive, to it. CR: What did working with Firstsite offer you? Did the installation of your works along the gallery overlooking the Colchester landscape have an impact on their reception? The people I met on the opening night, mostly residents of Colchester, gave me the most wonderful welcome. The questions they asked while I gave a short tour on the night were exemplary and the experience was most enjoyable. The launch itself was one of the best I have ever had and the reason was that a freelance arts person had booked a singer from Zanzibar to perform live. The singer was fantastic and this gesture of kindness offered by an intelligent and dynamic arts officer made a real difference. 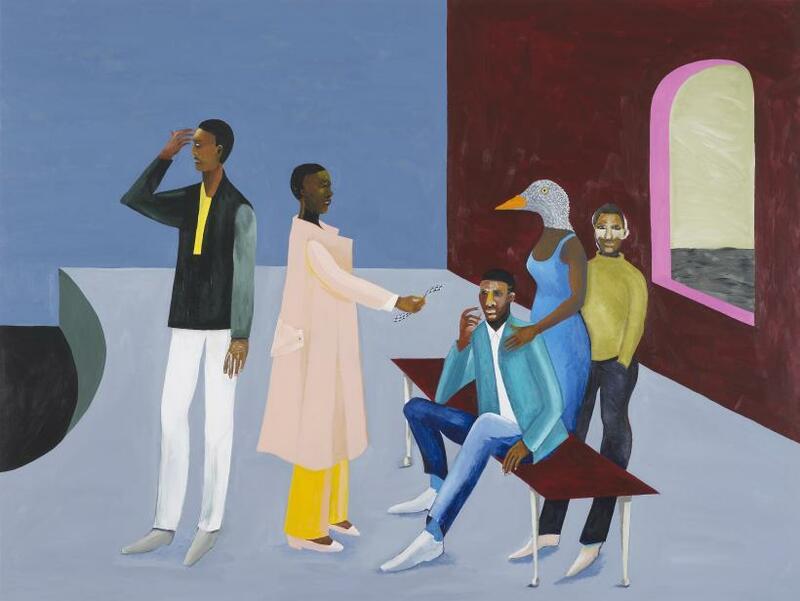 CR: Your work is becoming increasingly public and framed with certain descriptors ‘black’, ‘African’ ‘woman’, what is your response to these terms? 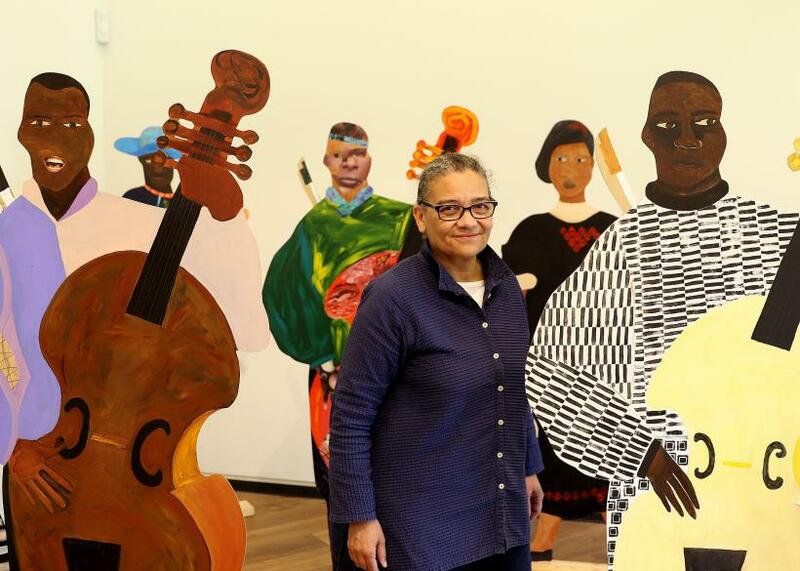 LH: I’ve always self-identified as a black woman artist and am interested in the conversations I can have with other black women about art and what we might be able to achieve so this description suits me fine. CR: Continuing on from this, can over-representation ever become an issue? LH: Let’s see what happens when it happens. 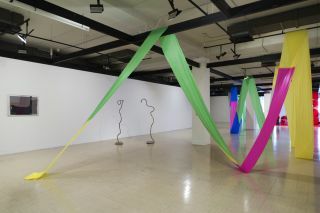 CR: Do you draw any significance from your recent survey shows touring regional galleries? LH: None really except that it has taken British art galleries much longer than the art museums in Britain to understand that there are hundreds of ways to tell the story of what it is to be human, through visual art practice. They have learned that the bigger the range of artists you show the bigger the audience you will have. 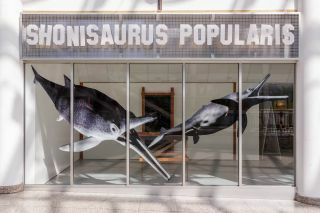 I’ve exhibited in mostly art and object museums in Britain, for 40 years, everywhere from Tate Britain to Birmingham Museum & Art Gallery, from Manchester Art Gallery to Liverpool’s Walker Gallery. You could have seen my work in Hull, Leicester, Rochdale, Preston, Stoke, Leeds, Bury, Sheffield, and Tate St Ives on a continuous basis for almost 35 years. 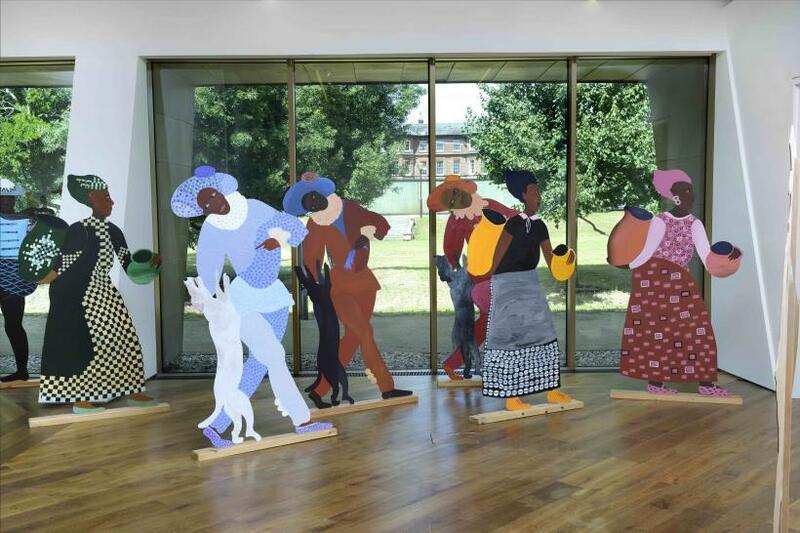 Himid is included in ‘Turner Prize 2017’ at Ferens Art Gallery, Hull until 7January 2018 and also in ‘The Art of Dissonance’. A solo show at Harris Museum and Art Gallery, Preston is forthcoming from February to April 2018.